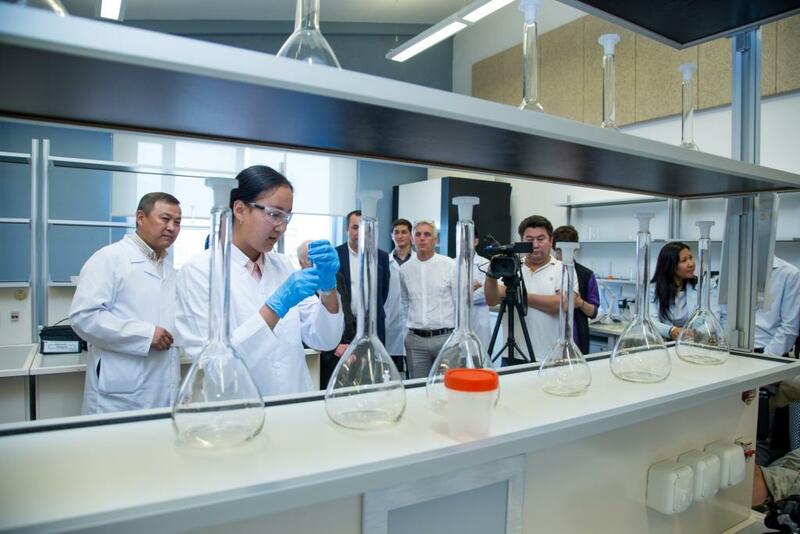 The American University of Central Asia officially opened new laboratories: environmental and geology laboratory for the Department of Environmental Managemant and Systainable Development and Applied Geology. This laboratory will be functional starting in the 2016-2017 academic year. 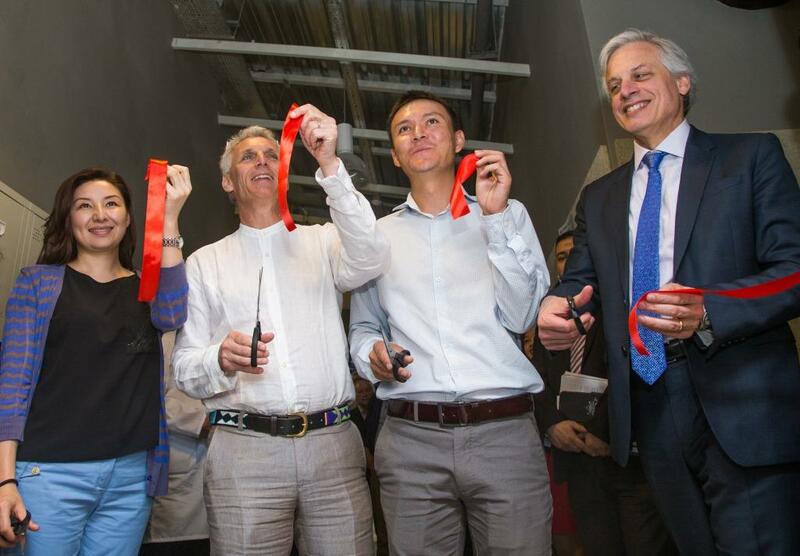 Andrew Wacthel, AUCA’s President, David Lakhdhir, the Chair of the AUCA board of trustees, Nazira Beishenalieva and Aijan Chynybaeva, both AUCA alumni and members of the board of trustees, Aktilek Tungatarov, the Director of the Department of Sustainable Development of the Kumtor Gold Company, and Gennady Bazarov, a film director and new faculty member for the Department of Television, Cinematography, and Visual Art, cut the ribbons to inaugurate the opening of the laboratories. The Kumtor Gold Company is a partner of the University and provided financial support for the purchase of the lab equipment for applied geology. Students in applied geology are now able to carry out environmental-chemical and geochemical lab research at AUCA (for example, testing water quality and measuring soil composition). Within the major, practical lab experience will be a requirement of the senior thesis project. The geological laboratory is also equipped with state-of-the-art geophysical lab equipment. The Department of Applied Geology aims to create professional specialists with broad theoretical and practical knowledge of geology and its applications. English language proficiency is another advantage of the applied geology major. Graduates will be able to read and apply the mainly English specialist literature and access the forefront of geological science and technology. According to Aktilek Tungatarov, the graduates of AUCA’s applied geology program will be in demand because the number of mining companies with foreign capital is growing and this industrial sector is in need of specialists.